The marketing landscape is always changing. This can be very overwhelming and often frustrating for marketing executives. It isn’t enough to be tech-savvy and marketing smart you need to understand the current opportunities and be able to evaluate the pros and cons for your business. Let’s look at five internet marketing trends to be aware of this year. Is your business ready for the mobile movement? Your customers ARE mobile and they are ready to buy! 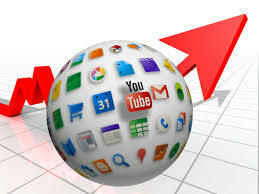 This is an internet marketing trend that cannot be ignored. Worldwide, there are over 5 billion mobile users and 1.1 billion smartphone subscribers. 61% of all customers who visit a mobile unfriendly site are likely to go to a competitor site. 79% of smartphone users use their phone to help with shopping and 74% make a purchase as a result. Marketers are doing a much better job of optimizing sites and content for mobile devises such as iPads, iPhones, and Android devises. The power of video in communicating your message to your audience is mind blowing. More than 4 billion online videos are watched every day. 68% of video watchers share video links. On top of this, consider that after 72 hours, a typical person can retain about 10% of text that they’ve read, 65% of an image they’ve seen, or 95% of a video they watched. This internet marketing trend is often is overlooked by marketers. Make sure your internet marketing accounts for not just desktops, but ALL screens. 86% of mobile users are actually using their devices while watching TV many of which with an iPad on their lap it is definitely clear we live in a multi-screen world. Marketer should make sure they are competing in all arenas! Is your website responsive? Are you targeting your online marketing to all devises? If not, you are driving sales to your competitors. After almost purchasing that pair of shoes on your favorite site have you ever been served an advertisement for $10 off your next purchase? You have been retargeted! Retargeting is one of the most effective internet marketing techniques available. If done correctly, it is the most valuable and most receptive form of advertising for the user. How much value is coming from your marketing efforts? This is a question that is hard to answer if you run multiple forms of internet marketing. A user may convert to a sale after clicking on a paid search ad but that user may have been influenced by a display advertisement seen earlier that week. This is where attribution measurement comes in. You can report value of a campaign even if a conversion is not recorded. At Ontarget we pride ourselves as a Digital Marketing Agency that keeps up on internet marketing trends and opportunities. If you have any questions we are here to ask!